Every day hundreds of Lima citizens share on their social networks how they have been victims of some sort of crime (they got mugged at gunpoint, someone broke into their house, someone broke the window of the car they were in to steal their smartphone, etc). They do this to let their friends and family know about dangerous areas of the city. All that information (social media updates) is lost after a while, as News Feeds start getting newer content. There was no easy way to look through that information later. 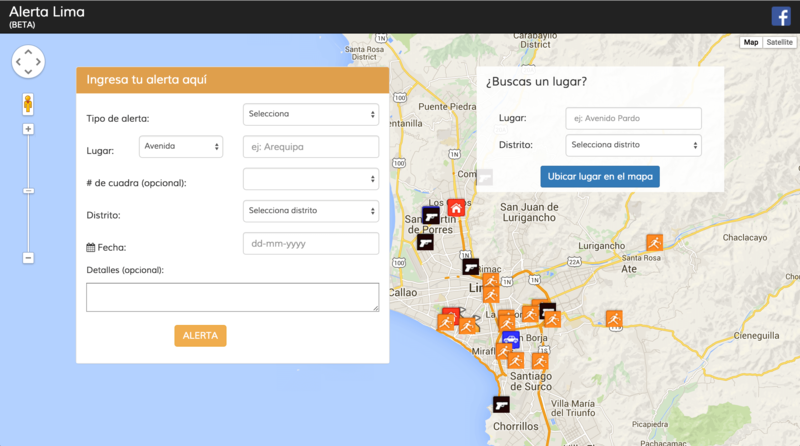 Alerta Lima is a web application that aims to help Lima citizens cope with crime and protect themselves. On this application citizens report crimes they are victims of and easily alert their family and friends by sharing Facebook and Twitter while contributing to a consolidated open database any citizen can look into. Back-end (Ruby on Rails) and front-end development (Bootstrap and Sass). Feeling helpless wtih the reign of criminals in my city and the lack of action of the government, I built this app hoping to provide my fellow Lima citizens with a way to fight back. Users create a shareable "alerts" by filling the main form on the site, that form generates a pin on the map and links to share on Facebook and Twitter. Users can search locations. Imagine you have to go somewhere in the city you are not familiar with, should you take your car? get a cab? how do you know if it is a safe area of town or not? This feature helps you find out. 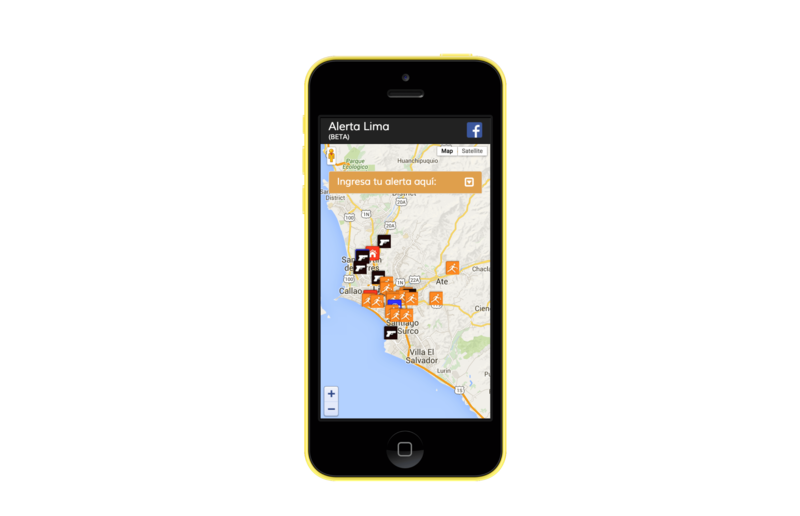 Woman about to create new alert in Alerta Lima, tablet version.